Personalize your Jaguar car with a wide range of accessories specifically designed for your model. Jaguar accessories are tested and manufactured to the same standards as your car, and come with a Jaguar Accessories & Parts Warranty. Wilde Jaguar is your complete source for Jaguar genuine parts and accessories. Depending on your model, you can choose from specialized storage and premium carpet mats to precision built alloy wheels and sporty exterior accessories to complete the look. Accessories not only provide greater practicality and convenience, they also allow an expression of the driver’s individuality. Where can you buy Genuine Jaguar Accessories? 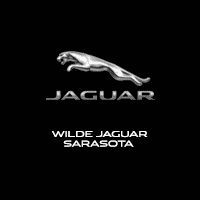 All Jaguar Accessories can be obtained through Wilde Jaguar of Sarasota. We can help you choose the correct accessory, place the order and arrange delivery. For more information, including pricing details, please use our Parts Request Form or call our Parts Department at (941) 932-4191.